“Be still and know that I am God!” (Psalm 46:10a). my disciples, if you have love for one another" (John 13:34&35 NRSV). 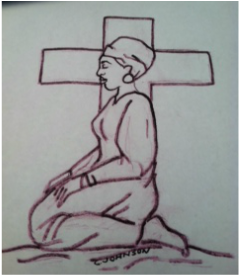 * Goal: To promote spiritual formation by positioning women for an encounter with God. biblical principles and the acceptance of God's love. of God and the healing and deliverance of God's people. women. Now, eighteen years later, we are continuing in spiritual formation and education for all.